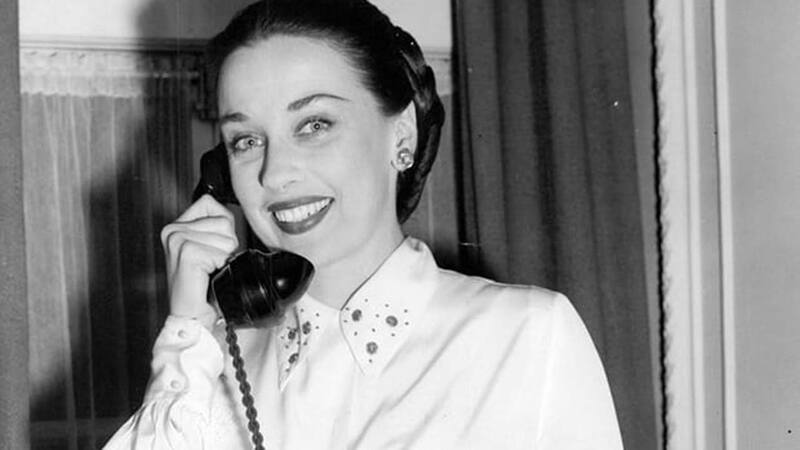 LOS ANGELES (AP) -- Broadway and Hollywood star Patricia Morison has died at age 103. Publicist Harlan Boll says Morison died of natural causes at her home in Los Angeles on Sunday. Morison acted in films alongside Spencer Tracy and Katharine Hepburn, originated the role of an overemotional diva in the Broadway musical "Kiss Me, Kate" and starred on stage opposite Yul Brynner in "The King and I." She was often cast as the femme fatale or villain, including the mastermind in 1946's "Dressed to Kill" who sparred with Sherlock Holmes, played by Basil Rathbone. Her other films included "Danger Woman" and "Tarzan and the Huntress."